France is a strange country: where else do you find skateboarders jumping on a roof of a small car? Of course, some will say that the eggs were there before the chicken, or inversely; and that the new skateparks are just filled with bowl riders that pre-existed the bowls. The Championnats de France of skateboarding held last week-end at Bordeaux are the proof that vert and bowl is alive and kicking in France, and that it’s not a country that can only yield Lyon, Cliché and Bastien Salabanzi. The French are also well versed in DIY skateboarding (which was used to be called system D, although nobody remembers why). And in this country were the sport of the Kings was transplanted 40 years ago by Jim Fitzpatrick, lay several groups of skateboard dissidents for which street skating is not a destination. People like Melville Abdou Salam, Eric Vidal, Edouard Fontaine, Sylvain Morel, Jeremie Plisson, Gauthier Laverhne, Marlon Dost-Lillet, Douglas Oberson,Thomas Raffin, Joris Brichet, Florent Viard, Stephane Boussac, Julien Benoliel, Guillaume Mocquin, Robin Bolian, Edouard Fontaine, Paulinana Laffabrier, and Marie Dabbadie A.K.A Mary Sweet are the current generation of bowl riders that will soon compete against the all-powerful Brazilian and Americans. isTia.Tv: When and how did you start skateboarding? Marie Dabaddie: I started skating when I was 14 years old; my mother gave me a complete Element skateboard for Christmas. I went to the Hall04 skatepark, 200meters away from my home in Hossegor. The first day I was not able to skate, I sat and I watched the skaters move in the bowl and the street course, I was impressed and intimidated. I had to come back and find a secluded place in the corner of the skatepark to start alone. 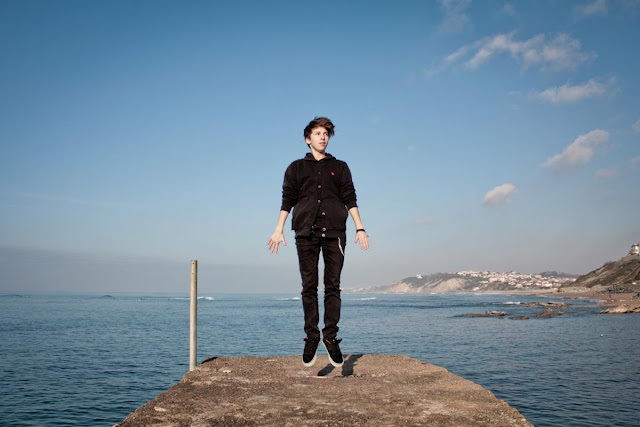 isTia.Tv: You started skateboarding at 14 year old, why not before? Mary Sweet: Before skateboarding, I was surfing. My father put me on a board from an early age. He is a shaper so I was raised around surfing. I did not think about skateboarding except perhaps in the days when there were no waves so I could use a longboard. isTia.Tv: Are you more of a street rider or a bowl rider? Mary Sweet: I skate in town, in bowls, pools, ramps. Never mind the spot but it is true that I prefer the bowls and the vert. My street style is deeply influenced by my skate in the bowls; I use a lot of spins. isTia.Tv: Why bowl and vert and not street? Mary Sweet: Without any doubt, because bowl riding offers possibility of high speed and hard to find heights in the street. I am someone who likes the thrill when I roll into town. "We see more and more very young girls get down to skateboard ramps and go for big ramps without fear." I always try to go as fast as possible so to not be afraid to go fast in the bowls. spots near the beaches and their style is deeply influenced by the surfing so they are recognizable. isTia.Tv: What was your 1st skatepark? Mary Sweet: My first skatepark was hall04 in Hossegor, an indoor DIY skatepark built by local DIY guys, but very clean. It was run by three guys JB Picot, Olivier, and JS. There were some bowls and a street course with curves in all directions since people in The Landes love the curve. There was also a first story where you could see the whole skatepark, sit in big armchairs or play games on the xbox. I spent there two whole years. When I was there, I was doing my homework; I skated every day or was just chillin’. isTia.Tv: Were there a lot of girls riding the skatepark? Mary Sweet: There were not many girls out; I sometimes stumbled upon Laurene from Labenne, Leslie from Bayonne. But I was the one that came most often; it was like my second home. isTia.Tv: Until recently there was almost no skatepark in France and suddenly it seems skateparks are popping up everywhere… What is happening? Are the new skateparks skate plaza (only street), bowls or a mix of the two? 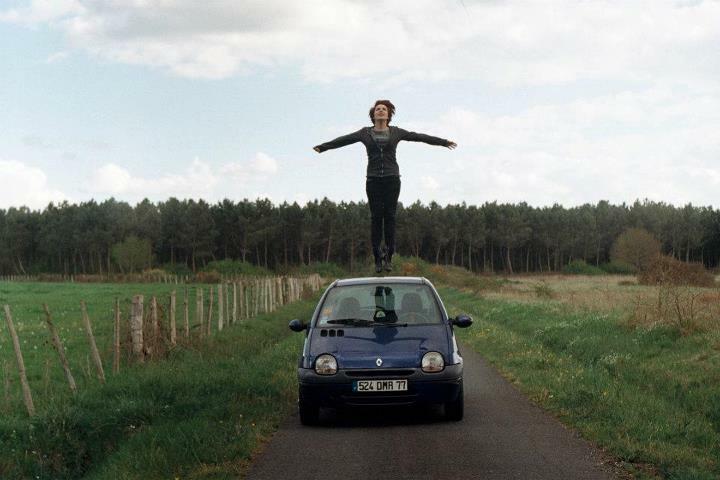 Mary Sweet: I think the image of skateboarding is changing in France. Skaters gain confidence in the outside world. People no longer see us as homeless or pot smokers, but like sports aficionados and sometimes as artists. Furthermore, we see more and more kids get to skate or be pushed by their parents to skate. 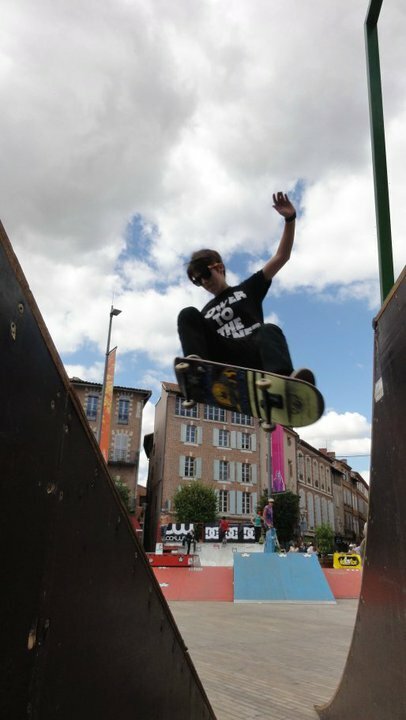 Across France, skateboarding schools are popping up and companies like Hall04, Récréation Urbaines or Zut promote skateboarding in small town halls, gain credibility and get grants to build skateparks. The new skate parks are often a mix of street and curve. 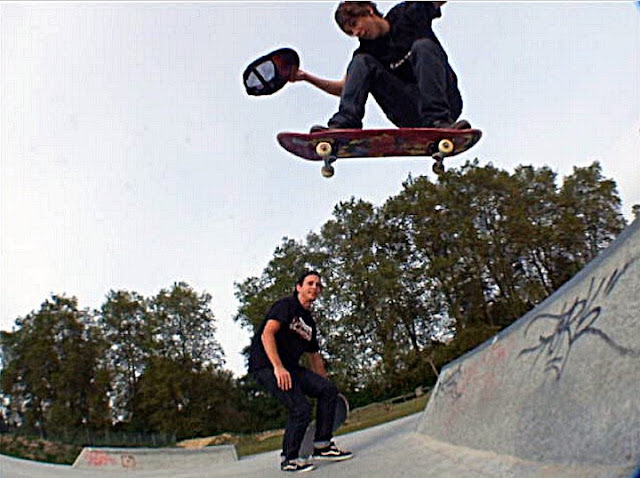 isTia.Tv: How Many new skateparks have opened in France in the past 2 years? 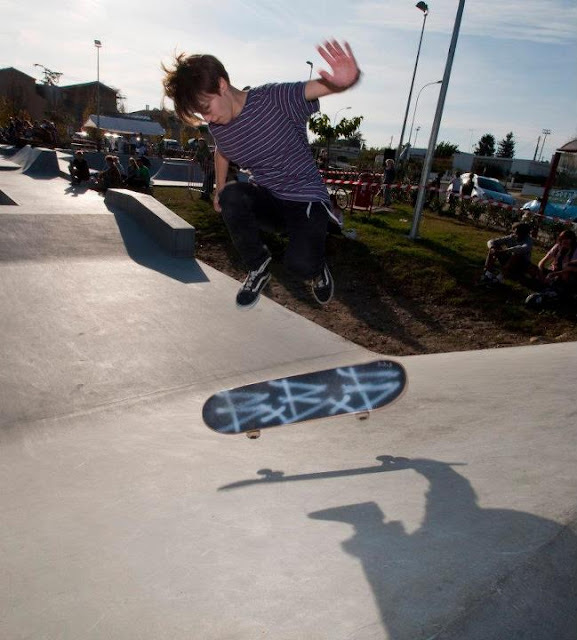 Mary Sweet: I cannot say the exact number but I know there are about five or six skateparks in The Landes, where I used to live and 4 near Bordeaux. There are nearly all concrete and directed by Jb's Hall04 except Gujan Mestras where we find the first concrete pool in France. isTia.Tv: Stacy Peralta has compared Bordeaux and the Aquitaine as what California was 50 years ago. 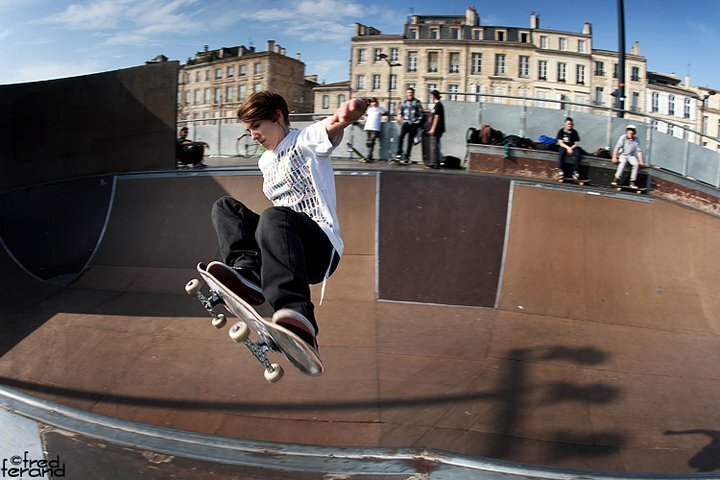 Do you feel there is really a push for skateboarding in Bordeaux? Same question for France as a whole? ? Mary Sweet: I was not there 50 years ago to see it but I heard enough stories to answer as skateboarding in Bordeaux is being raised with all the videos of local riders who give an image of the city as a city skate. That's why we can see many foreigners come or in French road trip. Skateboarding in Bordeaux in France and growing every day. then engineered and manufactured and finally replicated by machines in plants. Before that, he was a shaper and had his own brand called Superfrog. The frog will probably never leave the minds of all the local surfers. isTia.Tv: Is he a skateboarder? Mary Sweet: He is not a skateboarder but a surfer and a fisherman! He was European champion in surfing when he was younger. 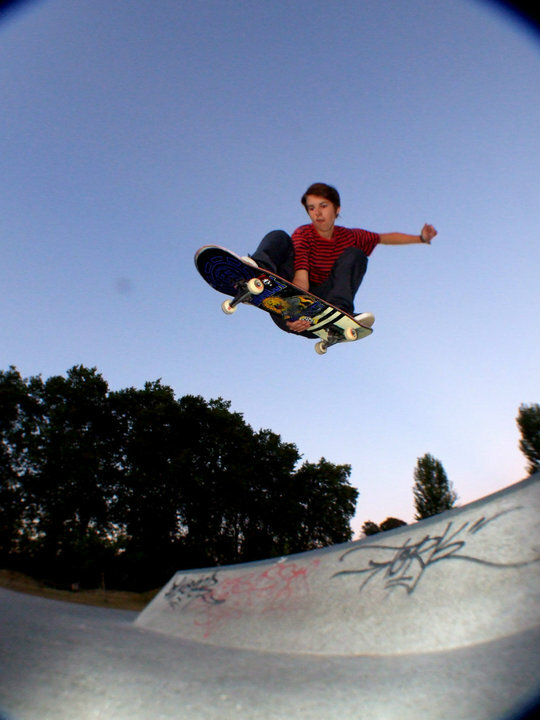 isTia.Tv: Are there any skateboarders in your family? Mary Sweet: There are no skaters in my family; we are all passionate but with very different things. isTia.Tv: How did he support you with skateboarding? Mary Sweet: I know my mother and my father always think about me when I do a contest or I'm going on a roadtrip to skate, they give a lot of freedom and they have been supporting me for a while now. My father is always proud to see pictures of me skating. isTia.Tv: Do you surf? Mary Sweet: I surfed a lot until I was 14 years old then I started skateboarding. The skate made me somehow forget surfing. I found in the skate a feeling and a respect that does not exist or slightly faded away in surfing. The world of skateboarding charmed me, I fell in love. Argentina. In France I think skater girls do not represent more than 5% of skateboarders. However, we see more and more girls get down to very young skateboard ramps and go for big ramps without fear. 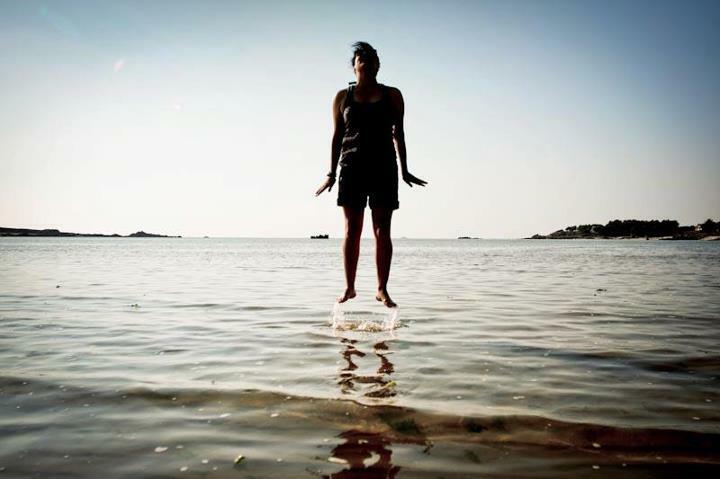 isTia.Tv: Why is it that so few girls are skateboarding? Mary Sweet: I do not know, maybe skateboarding is a sport viewed as predominantly male. In France parents do not have the habit of pushing their daughters to a sport that leaves marks. Some girls are afraid of hurting themselves, others are afraid of the eyes of others ...I think we should go over it all, skateboarding is a sport like any other, one does not lose her femininity because of skateboarding, we risk falling just as in all sports and skateboarding is surrounded by so many good things for self-esteem that it should be obvious to push children to skate. isTia.Tv: Is skateboarding a guy's sport? Mary Sweet: Like any sport where it hurts, it is true that skate boarding’s social construction defines it as a male sport. But I think the sport is accessible to all without differentiation of gender because not only it is a sport but also a learning acceptance of diversity and respect. We cannot locate the skaters on the social ladder, they come from all walks of life, all backgrounds, it is a sort of gigantic melting pot where everyone is entitled to respect, as many women as men. 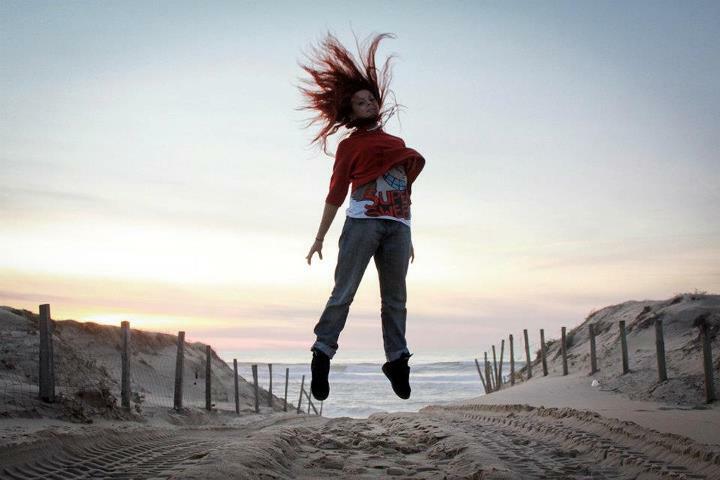 isTia.Tv: Who are the girl’s skaters who inspire you? Mary Sweet: Elissa Steamer, Marisa Del Santo, Vanessa Torres and my friends Pauliana Laffabrier, Claire Essertel , Camille Despagne, the twins Wilschusen and many others. isTia.Tv: Girls like Lizzie Armanto, Allysha Bergado or Amelia Brodka have an amazing bowl level, yet they are very feminine and gracious on a skateboard. Do you think that’s an exception and those girls skateboarder are usually tomboys or is the trend going toward a more feminine way of skateboarding? Mary Sweet: Girls who skate are not necessarily tomboy, it is true that we get to see much but it is not necessarily linked to skate. We see very feminine girls like Lizzie, Amelia and Allysha skate like guys or who have a tomboy girl style when they skate. There is a feminine way of skating but I do not like it too, I prefer girls who forget their kind and just go skate, which bring about a style of their own. ? 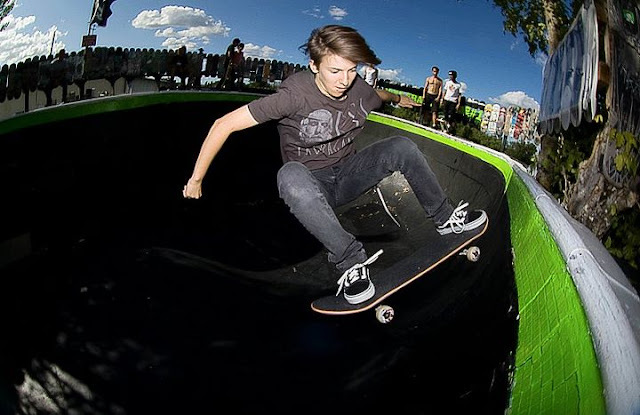 isTia.Tv: Amelia Brodka is preparing a documentary on girls skateboarding. She started with no material, no money, no help and now everybody is waiting for the documentary that is expected to be a big deal… How do you see Amelia’s venture? Mary Sweet: I think she understood all about life and skateboarding. With friends, contacts, skateboarding, and motivation one can still build great things. I am all for the DIY and I am a DIY practitioner. I encourage Amelia to continue and I hope everything will go well for her. isTia.Tv: With all its backyard pool and so many skateparks everywhere, how do you see the California scene in France? Is California still leading the way or is it that skateboarding is so widespread that nobody cares anymore of what’s happening in California? Mary Sweet: My personal dream is to go skate the backyard pools and those gigantic Californian skateparks. I think that California is still leading in terms of vert skate and pools. On the other side, street skating is growing in Europe and worldwide. I saw videos of Japanese or Russian skaters create virtually unknown tricks or new way to skate, to shoot, to understand and utilize the new spots. isTia.Tv: Have you skated a backyard pool? Mary Sweet: I've skated a pool but it was not a real round pool round, it was a rectangular pool with curved wall and not rounded walls. It was the old pool of a high school, we rapidly got kicked off but I had enough time to take a great picture of my friend Arthur. What does skateboarding represent for you? Mary Sweet: I have pretty much the same opinion, skateboarding has taught me so much, the notion of hospitality, respect, a taste for travel, meeting simple people, foreign languages, sharing. The skate is surrounded by art and it is a very creative sport. For me, skateboarding is a lifestyle that I live every day and I hope I never forget to live. isTia.Tv: I have heard you visited a lot of skateparks, especially in Spain. Can you tell us more about that? Why Spain? Mary Sweet: Yes, we went to Bilbao with the kids of the BBB, my friends Max, Pauliana (Laffabrier), Melvin and Douglas. We went to skate a lot of different skateparks, from huge pools to Spanish plazas. The trip was great, a true sloppiness compared to the normal life of skateboarding without monotony, giggles, crappy plans, and beers at the seaside. .. I would thank Pauli and Max always to have had the patience to endure Douglas, Melvin and I who did the idiots behind while driving. I also went to Barcelona with my friend Sandra from Toulouse; we joined the Wilschusen twins whom we had met several months earlier at Far’N High in Paris. They made us live the Spanish skateboard dream: that is the night, we skates incredible spots, awesome evenings. I did not tell them that my birthday was going to happen while in Barcelona but Sandra told them the day before, they have managed to buy me a cake and I have spent an unforgettable night to finish a lift the sun on top of 15m high diving board of the Olympic pool in Barcelona. the composition must be good and not improvised. isTia.Tv: How did you learn to take pictures? Was it by trial and errors? Mary Sweet: I always liked pictures. I started with an automatic compact then one day a friend lent me a Canon 1D, so a professional camera, I had no idea what I had in my hands and fiddling with the unit j I started to understand the real picture of a system since the device was completely manual, that's how I really became interested in photography. I realized that my eyes and the settings I could bring out a still image memory and a worldview. Ever since, I cannot live without it. Currently I am working with an old silver Zenit since someone stole my camera on my last trip to Barcelona. isTia.Tv: What’s the big deal with people jumping on your pictures? Mary Sweet: This is a life project about spiritual flight of decisive mass. This is a project against spiritual confinement, against the neglect of value, against the automation of our brains that we will turn into vegetables, against the standardization of thought and therefore capitalism and globalization and all consequences of confinement and abuse of the human spirit. I materialize the spiritual mind off a jump, I take pictures of people I meet and I know in places they are familiar or unusual in order to get the biggest possible why not make a gigantic fresque and several exhibitions in different cities and share my way of thinking through images. isTia.Tv: How do you see yourself in skateboarding in 5 years? In 10 years? Mary Sweet: I cannot imagine the future; I plan to never or rarely. I love the unexpected. 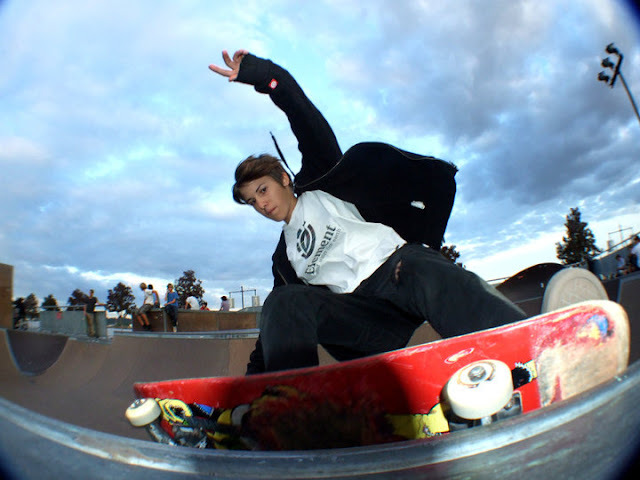 I just hope that I'd done anything serious that would make me quit skate, I would have traveled much, I would have hundreds of photos and more flight project, I could grow spiritually and I would not forget to remember. isTia.Tv: Do you want to add something that we missed? Mary Sweet: One life. Live everyday as if it's your last. Thanks to Fred Ferand, Max Conan and Franck Phung for the pictures. Insider information: Franck Fung, David Legoux. Thanks a lot!!! She is so Rad! Love her style. Great shots and story!! Are are really on the ball with covering everybody! !